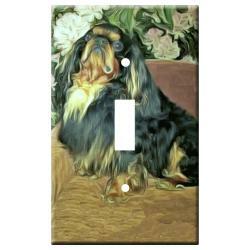 Our English Toy Spaniel gifts are created from exclusive dog breed art by Gone Doggin! 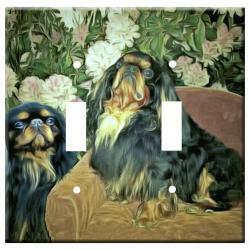 The English Toy Spaniel, like many toy breeds kept by royals, came to assume the personalities of their aristocratic owners. They can be proud and willful, and extremely discriminating in their choice of friends. 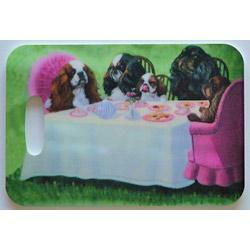 With their favored humans, they are affectionate at home and exuberant and curious at play.